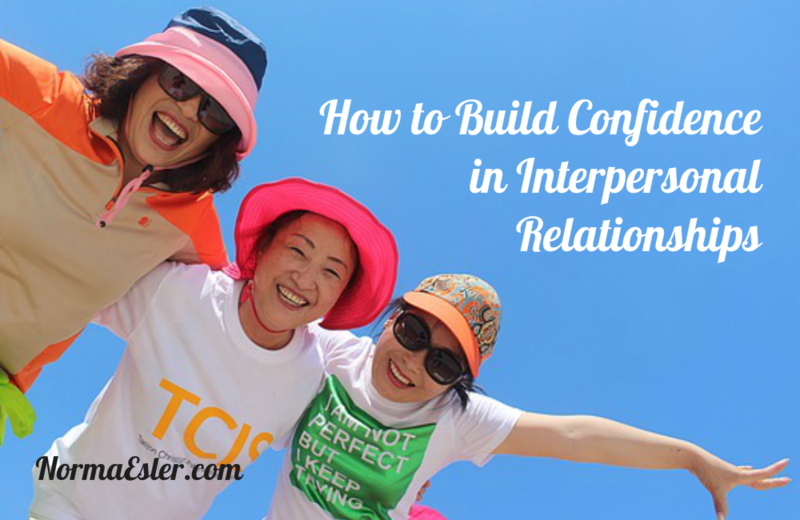 If any of this describes you, read on for some tips and suggestions on how to build confidence in interpersonal relationships. Pretending like you don’t have trouble with confidence is not going to help. You’d be surprised at how many people who seem naturally born confident actually took time and effort to learn the art of self-confidence in their relationships. If there weren’t a growing number of people in need of self-confidence, there wouldn’t be a growing field of confidence coaches and life coaches to help! You might consider becoming a client of a confidence or life coach. These coaches specialize in helping people realize their potential, both professionally and personally. There’s no shame in seeking advice, whether from a friend or a professional. If you feel insecure when you think of your interpersonal relationships (or when you think of starting one), it might help to remember that you have something of value to contribute to that relationship. Lack of confidence may stem from a sense that relationships are only about you pleasing the other person, or getting him or her to like you. However, it’s important to realize that you have something to contribute to the relationship which will benefit the other person – you! Remember that both you and the person with whom you are in a relationship have flaws. Everyone does. People who lack confidence in relationships tend to walk on eggshells, afraid they will say or do something to cause the other person to turn against them. But truthfully, someone who really likes or loves you is not going to ditch you just because you said one off-color thing or made one mistake. And if they do, you didn’t need them to begin with! First, you have to recognize it – listen for a few days to your inner voice. What’s it saying? Do you hear, “You’re not good enough,” “No one would ever put up with you,” or “I just can’t go over and talk to him/her?” Once you begin to hear these thoughts, it’s time to take action and change them. Often, such negative self-talk is a habit and you don’t even realize you’re doing it. You have to forge new habits of positive self-talk instead. Remember that you have something to contribute to a relationship and the right person will be glad to have you as an addition to his or her life!